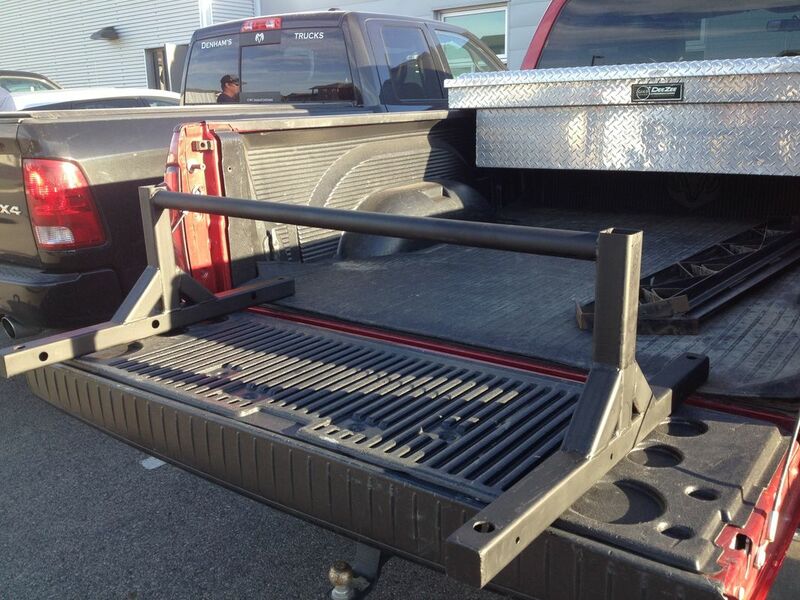 Kodiak Strength Fabrication LTD. most favorite of all specialty bars the safety squat bar. Much has been written about this bar and for good reason. Our bar features 1 1/2" cold rolled steel construction and a unique drilled through 2x3" 3/16" rectangular tubing camber for the strongest possible build around, an industrial custom wrapped pad completes this beast of a bar and extended handles ensure a solid grip as you squat your way to a massive total. Looking to add some instability to your training, but thinking that wobble boards and bosu balls are all that, more of a joke? Our cambered squat bar is just the ticket. The cambered squat bar greatly increases the need for maintaining your air and having a proper set up on your squat by exploiting any weakness your abs or posterior chain may have. This bar is also great for zercher squats and carries as well as many pressing movements. Don't be limp like a noodle, strengthen the driveshaft between your legs and upper back with our cambered squat bar. All the same benefits of our cambered squat bar but now with a more personal touch. The adjustable cambered squat bar can be tailored to your personal sticking point in the squat and the center of balance can be changed to fit your height. Adjustable camber from 10" to 20"
Got a lot of plates and no desire to have a whole rack of dumbbells? Does your gym not stock dumbbells heavy enough? Want the benefits of a thick handled dumbbell? Here at Kodiak Strength Fab we are passionate about thick handle training and recognize the increased benefit of having the strongest hands possible. Our dumbbell handles are sold as singles and feature very thick walled tubing and no knurling (you want to increase your grip strength don't you). These handles will accept typical Olympic 2" diameter plates and have a 5 1/2" gripping surface with 1/2" collar stops. The sleeves are nonrotating and are 6 3/4" long to allow for enough plates to be loaded to really challenge your hands. Not enough loading space? Longer sleeves available by request. At 2" thick and the same dimensions as a standard Olympic power bar, our strongman axle will surely test your grip. The Kodiak Strength Fab axle is made from extremely thick walled tubing, and features a smooth finish (knurling is for weak hands). The axle weighs in around 45 lbs. Designed to save you space and money our T-bar row attachment will work with our landmine attachment (or any corner) to let you pile on the plates and scream "light weight" just like big Ron! Row attachments feature 2" thick grip and a set of parallel handles giving you many hand options for your rowing pleasure. Designed for strongman contest prep, our duck walk handle suits its name-sake. It's ideal for simulating power stairs and training extremely heavy swings to develop your posterior chain. Plate loadable with a 10" 1 1/2" handle and adjustable height, this training tool is bomb proof. Does shoulder or wrist pain prevent you from pressing big weight? Looking for a change of pace in your bench press days? Check out our multi grip press bars, available in almost any configuration. With your choice of handle size, this bar can add the much needed angle change that you may be looking for. Jon builds the frames of these without handles, so custom options are available anytime. Contact Jon to discuss the possibilities. save your back for the big pulls, our mini deadlift jack is small enough to take anywhere and strong enough to hoist weights in the 1/2 ton truck range, we have improved on the old standby and made ours better by adding a bigger bar cup, now you can easily load and unload your strongman axles up to 2 1/2"!!! 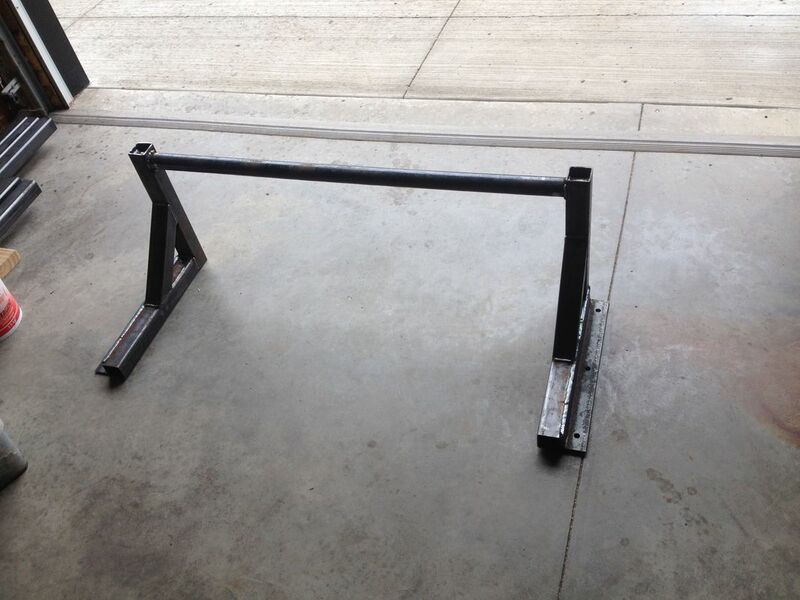 Jack will accommodate thick bars up to 2 1/2"
The classic event at may strongman contests. Our logs are made to order to your specs 8", 10" and 12" logs available and feature 1 1/2" solid steel drilled though handles spaced at 24" on center unless otherwise specified. Solid 1/4 plated capped on the ends with 12" loading sleeves make these loges strong enough to handle any competitor. Here at Kodiak Strength Fabrication, we love pull-ups. In our opinion they are one of the best exercises anyone can do. So with that in mind, we build our pull-up bars in a no-nonsense kind of way -- strong, solid, and over-built. Whether you need a wall mountable, ceiling mountable, collapsible, removable, or invisible (well maybe not that one) pull-up bar, we can build you exactly what you want at a price that you will love. Contact Jon today and pull-up your way to bat-wing lats and a grip of steel.